Reigns: Her Majesty is the sequel to the ruling simulator, Reigns, for PC and mobile. In Reigns: Her Majesty you have control of the Queen of Ages, the queen of a nameless kingdom with choices to be made every year. Swiping either to the left or right for each decision affects your four resource bars, Church, Citizens, Military and Money. If any one of them reaches 100% or 0%, your game ends. Playing just like the original Reigns, Reigns: Her Majesty is all about decision making and balancing. There is a consistent story behind the game, but every single decision builds secondary stories around it. You can help your handmaiden find love, or protect the life of your chef (despite the fact that she’s clearly a witch), but every decision you make will affect the resource meters somehow. You can help your handmaiden find love, or protect the life of your chef (despite the fact that she’s clearly a witch), but every decision you make will affect the resource meters somehow. The background story is that you are being watched and prepared by the All-Mother, a spooky ghost person without a lot of explanation, that is trying to prepare you to take up her crown. You must live through a thousand years of different life times, all while trying to progress through the story. Once a thousand years has been reached without going through the necessary steps, it’s game over. The gameplay of Reigns: Her Majesty is very simplistic, but the decision making never gets boring. Every new decision is decided based on a random arrangement of cards; new ones being unlocked once you complete a certain pathway or make a decision. For example, allowing your explorer to discover the new world enables Colonization cards, giving brand new options. Items gained throughout your life are passed down to the next queen, allowing you to slowly build up tools to withstand more difficult periods of decision making. The completion fo the overarching quest tends to rely quite heavily on randomness – an average game could be only a couple hours of game time if you get lucky, but far more if you’re not. Some of the steps involved include either being super lucky to be born under the right sign in your lifetime, or learning through trial and error (and not googling, you cheat) which symbol represents which zodiac sign. Then, getting lucky enough to meet the right person when under that sign. Then, getting lucky enough to meet the right person when under that sign. The entire experience dabbles quite close to the territory of confusing and frustrating, but the gameplay and humorous stories able to be made with your decision making ensure you’re never quite at that point. 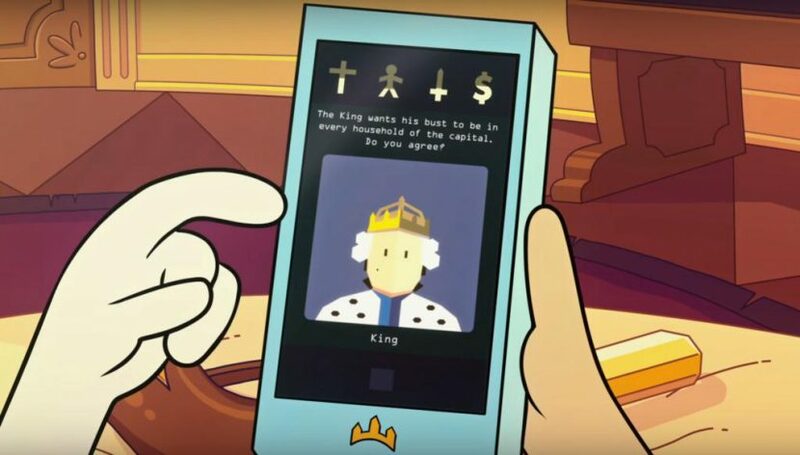 There is certainly the potential for Reigns: Her Majesty to get extremely frustrating if you have an unlucky game, but most of the time you’re going to find yourself enjoying your time spending the crown’s money and beggaring the realm. 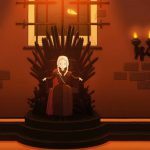 Reigns: Her Majesty is a unique game, focused around decision making and solving mystic plots. Any lovers of the previous game, Reigns, should definitely pick it up, but it’s easy to say that the former iteration is the superior of the two. That said, Reigns: Her Majesty will have you laughing and enjoying the game nonetheless, though really regretting a miss-click that gets you killed. Simple, left or right gameplay that represents a grander scale. A deep storyline with a lot of hoops to jump through. Some of the storyline sections rely heavily on randomness.